Dec. 13, 2011 — The Golden City Council’s special meeting on the Jefferson Parkway issue will take as place as previously announced this Thursday (Dec. 15) but the Council will not vote on the proposed agreement with Arvada, Jefferson County, the Jefferson Parkway Public Highway Authority and the Colorado Department of Transportation. Although the elements of the agreement have been outlined (see latest summary below or attached) the final language of a legal pact is still being drafted by attorneys representing the various entities. As a result, the City Council’s Thursday meeting will become a community briefing and update on the issue. The city will discuss the status of the agreement and will take public comment on it. The meeting will take place at 7 p.m. in the Council Chambers of City Hall at 911 10th Street in Golden. The City will announce the date for the City Council vote on the agreement as soon as that’s scheduled. There will be public comment at that meeting as well. 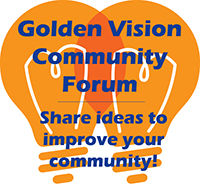 The very latest information will be posted when it becomes available at CityofGolden.net and GetTheFactsGolden.org. Citizens who want to receive updates on this issue by email should fill out the form at GetTheFactsGolden.org. Construction of a grade-separated interchange at US 6 and 19th Street, estimated at $25 million. Relocation and upgrading SH93 to four lanes for the section from SH 58 to north of the Golden city limits, estimated at $25 million. Implementation of noise mitigation along parts of SH 93, estimated at $7 million. The State of Colorado Governor’s Office to support the agreement and expeditiously secure funding for three mitigation projects. Members of the Colorado Congressional Delegation to support this Agreement, including supporting grant applications and other efforts.